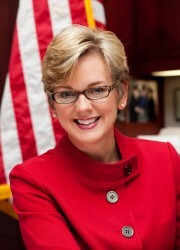 See the gallery for quotes by Jennifer M. Granholm. You can to use those 8 images of quotes as a desktop wallpapers. Men and women have served and died to protect American democracy, but their sacrifice will be for naught if that democracy dies from the poison the Supreme Court has injected into our political organs. 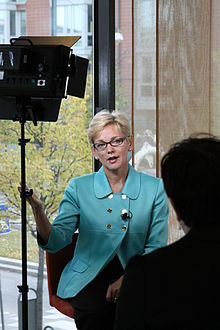 Mitt Romney privatizes the gains from his enterprises, but spreads the costs to the rest of us. Seems that 'free stuff' is in the eye of the beholder. Now, we love our auto industry. But if we had worked harder on diversifying this economy long ago, then if one of the legs of the stool starts to get wobbly, at least you've got three other legs to stand on. Our great history has been that people came to Michigan because you didn't have to have a college degree to get a good-paying job. Consequently, we have got a larger number of our population that right now are facing outsourcing, et cetera, without higher or advanced degrees. Rush Limbaugh, we expect nonsense from him. But the Vatican, that's another story. When the Vatican is so threatened that it launches attacks on nuns, well, you know what they say in politics, a hit dog hollers. Sometimes leadership is planting trees under whose shade you'll never sit. It may not happen fully till after I'm gone. But I know that the steps we're taking are the right steps. The problem with the auto industry is layered upon the lack of consumer confidence. People are not buying cars. I don't care whether they're or American cars, or international cars. When someone lives as a minority, they experience the world differently than those of us who live in the majority. We may occupy the same physical space, but we don't occupy the same psychic space. Whether it's their Sharia law and birther conspiracies or their unwillingness to buck Grover Norquist's no-tax pledge, the Tea Partiers have hijacked their party and carried it all the way to the right. Ceremonies are important. 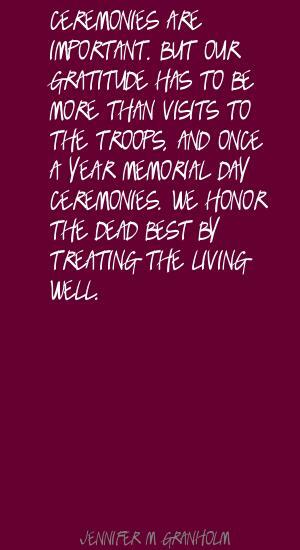 But our gratitude has to be more than visits to the troops, and once-a-year Memorial Day ceremonies. We honor the dead best by treating the living well. Often we women are risk averse. I needed the push. 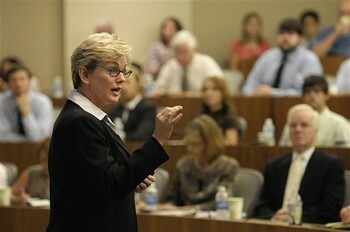 Now, more than ever, young women need more seasoned women to provide that encouragement, to take a risk, to go for it. Once a glass ceiling is broken, it stays broken. In Congress, while the House's proposed defense budget calls for significant increases, it also cuts 11 billion dollars from veterans spending - including healthcare and disability pay. Be clear: we can't equate spending on veterans with spending on defense. 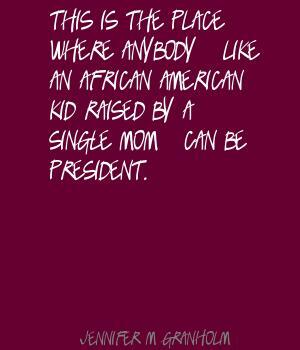 This is the place where anybody - like an African American kid raised by a single mom - can be president. 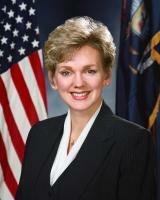 As governor, when I visited our troops in Kuwait and Iraq, I served them Thanksgiving dinner. It was a small gesture compared to their sacrifice. Do we want in this nation to lose the backbone of manufacturing in this country? Do we want to be a nation that doesn't want to manufacture anything? I certainly never thought I would run for office myself. If someone had suggested it, I would have laughed out loud. I love the protest signs protected by the First Amendment - some of them humorous, some of them passionate, some factual, some entirely incorrect - all of them free ideas. Our strength is not just in the size of our defense budget, but in the size of our hearts, in the size of our gratitude for their sacrifice. And that's not just measured in words or gestures. Those who purify your water, inspect your meat, and test your kids' toys, as well as a huge number of nurses, teachers, and our soldiers, are public employees. The firefighters who don't hesitate to rush toward danger while you run away from it - they are all public employees. Every day in America, African Americans are reminded of their race in ways large and small. Every day. I really want to be governor when I have a partner in the White House. Today in America we are no more 'post-racial' than we are 'post-partisan.' We have a long way to go. 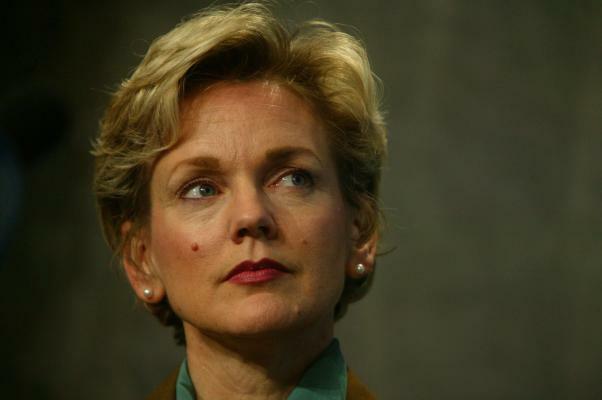 Much more quotes by Jennifer M. Granholm below the page. We need to be celebrating those who serve us rather than mocking them for the purpose of getting on TV and selling some books. When I was fresh out of law school, I had a burning desire to do something important, to have an impact in some way, but I didn't know what it was. Bain also asked Kansas City for a $3 million tax break. The Bain executives were taking home $36 million in borrowed funds and were asking Kansas City to forfeit $3 million in public money for police officers, roads and schools? More free stuff! Every single country that has an auto industry is stepping forward to help that auto industry. Why wouldn't we help this industry too, because it needs 3.5 million jobs. I have a problem with Mitt Romney. And it's big problem - one that extends beyond our ideological differences. My big concern is that Mitt Romney wants to become president for no other reason than because there's a possibility he can win. It's that Romney is taking advantage of the government's 'free stuff,' too, and has been profiting from it handsomely for a long, long time - even as he rails about the 'free stuff' that the government provides other people. Less than a year after loading the company up with debt, Romney and Bain gave themselves bonuses four times bigger than the $8 million they had put into the deal.